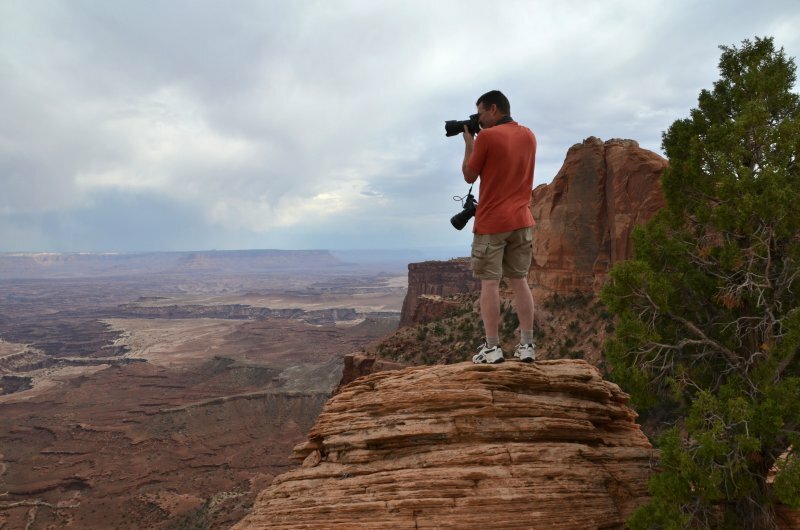 Nice capture of Glenn going the extra mile to catch this wonderful expanse. Now we know why he loses so many quarters. This is terrific, David. Not sure I could remain steady there. Good for him. I bet he got a fabulous photo. Wonderful capture of him on the edge. V.
Cheers David - I'm not too sure of my steadiness though. Not the safest places for a shot....V.
Nice portrait of the Vatorman at work. This looks a bit precarious to me. Very nice capture of Glenn! It makes me vert tense!